On this final day of the old year, I woke up at 4:30 (aided by my soft, sweet alarm clock named Snickers, who likes her breakfast early). I headed to my desk bound and determined to make at least some progress on a certain work-related task that has been hanging over my head, filling me with dread and despair, for the past six weeks, a task that I had meant to accomplish over Thanksgiving break, but couldn't make myself face then, a task I had mean to accomplish through all of December, but kept putting off until this morning, when it could be evaded no longer. I sat down at my computer at 4:35, my trusty mug of Swiss Miss hot chocolate beside me, and made myself set to work. Now, at 7:35, a mere three hours later, the task I procrastinated on for six full weeks is done. I feel lighthearted - oh, the joy of being able to face the new year without this task to do! But I also feel puzzled: why, oh why, didn't I devote those three measly hours to this task sooner and get it done, done, done? I have a new theory about this. 2) an extremely simple way that would have achieved results a teensy bit less good, but perfectly satisfactory, with next to no toil on my part. The reason I procrastinated so long was that I wanted to make sure that I had run out of time to take the first approach and would be forced to take the second approach, the approach I had known all along that I was going to take, but somehow felt guilty for taking unless I absolutely had no choice but take it because the time to take the first approach had run out. I do this all the time! I know there is a hard way to do x and an easy way to do x, and that I'm going to choose the easy way, and that the easy way will be perfectly fine (only an itty-bitty bit less fine than the hard way). But I feel guilty about choosing the easy way. So I procrastinate until time has run out for choosing the hard way. And then I do x the easy way and marvel at how easy it was, after all. I'm wondering if in 2014 I can just give myself permission to go straight to the easy way, given that I know from abundant past experience that I'm going to take it anyway, as I always do. Why not trade a few weeks or months of dread for a few seconds of needless guilt? Or skip the needless guilt altogether? We seem to have a need to valorize the hard way. The hard way, the steep climb, the rocky path is supposed to be the path of virtue. But in my experience, the easy way, the gentle ascent, the flower-strewn path gets me to the same destination. So here's to scampering down the flower-strewn path for 2014. For the fifth year in a row, Christopher and I led the Sunday-after-Christmas worship service this morning, to give our regular pastor and organist time off after the intensity of Advent. I prepared the order of worship, solicited prayer concerns, preached the sermon, and officiated over the entire proceeding. Christopher played all the music for the service, including the challenge of a congregational hymn sing (my favorite! ), where those in the pews are invited to shout out the number of their favorite hymn from the hymnal, whatever it is, for us all to sing together. Today Christopher faced the hurdle of not one but two hymns that neither of us ever heard before, plus a hymn not from the traditional hymnal, but from a more contemporary songbook, The Faith We Sing, which has more tricky musical accompaniments. I had promised him I wouldn't let anybody call one out from there, but when it turned out to be "Shine, Jesus Shine," I couldn't resist. And he played it beautifully for us all to sing our little hearts out. It's fun for me to come up with a new sermon focus for each successive new year. Last year my theme was using our gifts in the new year, drawing on the parable of the talents (Luke 19: 21-28). The year before I talked about starting the new year not by eliminating bad things from our lives but by cramming our lives so full of good things that the bad things would find themselves crowded out willy-nilly. This year my message title was "Starting All Over Again - Again." The question I posed was how we can make ourselves believe that we're really going to heed the coming of Christ into our lives this year, when we didn't make good on this promise to ourselves last year, and the year before that, or the year before that. I found and shared some some sobering statistics about New Year's Resolutions: 45 percent of Americans make them; only 8 percent end up keeping them. I found a list of the ten most popular new year's resolutions to pair with the list of the ten most commonly broken resolutions. As you may have guessed, the two lists were almost identical. Should we, then, give up on resolutions altogether? Jesus does tell us, in the sermon on the Mount, to avoid oaths: just let our yes be yes and our no be no, and be done with it. But he also gives the barren fig tree another chance to bloom and bear fruit. In the end, I took the side of resolutions, citing a study that people who make them are ten times more likely to achieve success in their goals than those who don't, however paltry that success might be. I took the side of believing in the power of new beginnings. I love this mother-son Sunday-after-Christmas tradition so much. As I prepare to start all over again - AGAIN - for the new year, this is something from past years that I want to keep. Today the music in my heart was wonderful, glorious, heart-soaring hymns pounded out by Christopher, on this last Sunday of the year about to end. My Christmas was lovely. I hope all of you had lovely Christmases, too. My Christmas season followed the pattern of my entire life. I sign up to do certain things because I love them and want them to exist in the world, and they won't exist unless someone - i.e., me - makes them happen. Then making them happen turns out to involve a certain amount of work, worry, and frustration. So I vow never again to be the one to make these things happen. Then when they do happen, they are wonderful. And I tell myself, "Sure, I'll do this again next year. Why not?" At my church, I organized a Mitten Tree for the homeless. A bare tree stood at the back of the sanctuary - bare, until we all decorated it with hats, scarves, mittens, socks, gloves, as I led the congregation in singing the song I wrote for the occasion, "O Mitten Tree, O Mitten Tree, we come to fill your branches." Actually, I didn't turn against this project partway through, but I did almost forget to take the collected items to the shelter the week before Christmas, which occasioned one of those stabbing moments of total panic when I suddenly remembered: "Oh, no! I still have to take the stuff from the Mitten Tree!" At church, I also helped organize a cookie baking afternoon for the youth group, which made me realize that I am temperamentally unsuited to deal with huge amounts of chaos involve dozens and dozens of cookies, flour everywhere, burning smells from the kitchen, frosting all over the floor of the fellowship hall. My whole soul craves order. This was the world's most disorderly afternoon. But it was also hilarious and heartwarming to see kids of all ages from 6 to 20 (we have a very small church) working together. The cookies were surprisingly tasty. They made a wonderful offering for us to share with the shut-ins to whom we went caroling the following Sunday. If you want an arduous job during the Christmas season, try organizing a caroling excursion to four different retirement homes/assisted living facilities. It only made sense for us to start at church and then fan outward from there, going first to the closest facilities and then to those farther away. But every place I called had a reason why that time wouldn't work for them. The place closest to church wanted us to come at 2, rather than 3, as I had suggested. The place right next to it didn't want us until 4:30. Naps needed to be taken into consideration. Activities directors didn't return phone calls. "Never again!" I vowed darkly. Yet when the afternoon of caroling came - a blustery afternoon where you could barely stand upright against the wind - it was wonderful. What is better than singing your heart out with people who are so glad and grateful to sing along with you? At home, I filled stockings for the boys and for Ashley, my new daughter-in-law. The stockings were knitted by my mother, beautifully, so many years ago, and are a wonderful reminder of how big a part she was of our Christmas every year. But the stockings are enormous. Filling them requires buying large quantities of tacky stuff for large sums of money. Maybe, at 22 and 25, the boys have outgrown Christmas stockings? But then it was so much fun watching them open them on Sunday morning. Frantically I scrambled to bake my mother's scrumptious yeast cinnamon rolls late on Christmas Eve. But what would Christmas morning be without them? Christopher and Ashley left mid-day for THREE other Christmas dinners with her extended family, so our own Christmas buffet was just me, Rich, and Gregory. Hardly worth bothering to make all that food for only three people? But it was delicious, and sweet to have that time alone with Gregory. So this is the story of my Christmas, and my life. Saying yes, then regretting it, promising myself to say no next time, and then being glad I said yes, after all. I might as well just accept the fact that I'm always going to end up saying yes to Christmas. This is the week I need to fix a whole bunch of ant holes. Not holes made by ants. No need to call pest control to mitigate damage caused by hole-gnawing varieties of ants. I need to fix holes about ants. I need to write all the gaping sections of my book-in-progress about Nora and her ant farm. I've written a full draft now, filled with many hilarious and touching scenes about everything else in the rest of Nora's life. What I've left blank is all the scenes about her ants. Alas, these are fairly crucial scenes in a book entitled The Trouble with Ants. My trouble with ants is that I really don't know as much about them as I should. There is no easy way for me to learn more. And down deep I don't really want to learn more. Already I've learned quite a bit. I've been reading a brilliant and utterly engrossing book about ants called Journey to the Ants by legendary ant scientists Bert Holldobler and Edward O. Wilson. I've interviewed an ant specialist at Colorado State University. I've posted plaintive inquiries on Facebook (indeed, it was those calls for help that led one friend to suggest that I read Journey to the Ants - thank you, Alice!). But no book or interview can tell me what I really need to know, which is exactly what would happen if a certain nine-year-old girl of my own creation conducted certain experiments on her own ant farm. The only way to know that, alas, would be actually to get an ant farm and do those same experiments myself. Well, I did get an ant farm. All of the ants died. 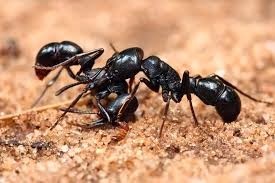 And also - oh, this is the terrible thing to confess - I hated my ants and dreaded the very sight of them. Nora, my protagonist, has inexhaustible fascination with ants. I don't. The sad truth is that I'm more like the other girls in Nora's class at school. I'm a cat person. I'm becoming sort of a reluctant dog person. But I'm not, and show no signs of ever becoming, an ant person. So I'm searching the internet for ant experiments done by kids and how they turned out. I have one I think I'm going to use, though this means trusting that the details given in that post were roughly correct. I'm reminding myself that after all, I'm not writing a nonfiction book about ants. I'm writing a novel about a girl who loves ants. I think - I hope - my readers will be okay if I'm fairly light on ant details and more generous with details about Nora's reactions to the high tea her frenemy Emma hosts for her adored cat, Precious Cupcake. When I'm all done with the book, I'll try to find an ant expert to read it to make sure I don't have anything too hideously wrong. That should help.The other two books in the series are going to focus on other aspects of Nora's life. Ants will still be present, but they'll recede into the background, which is just fine with me. But for now, I have some ant holes to fix. So I'm not dreaming of a white Christmas, where the tree tops glisten and children listen for sleigh bells in the snow. I just finished grading the most recent set of papers for my Rousseau class. This is a "slash course," meaning that it contains both graduate students and upper-level undergraduates. The graduate students take it as Philosophy 5010; the undergraduates take it as Philosophy 4010. But they all read the same books and write the same papers; the graduate students also do a short in-class presentation on some article of secondary literature on Rousseau. As I read the papers, I'm always curious to see how the graduate student papers will differ, if at all, from the papers by the undergraduates. We have some terrific undergraduates who are wonderful writers well skilled at philosophical argumentation; they are sophisticated readers who excel in probing below the surface of a text. So I'm never surprised if some of the undergraduate papers turn out to be even stronger than the graduate student papers. Usually the grad student papers are "better" in some sense, but not always. This time the difference that struck me most between the two groups of fine papers is that the undergraduate papers tended to be more critical of Rousseau, eager to pounce upon the many glaring inconsistencies, even outright contradictions, in his work. In contrast, the graduate student papers were uniformly appreciative of Rousseau, trying not identify fatal flaws in his arguments but rather to defend him against his critics, seeking to dissolve the contradictions so apparent to some of the undergraduates, to show how a deeper reading of the texts could allow divergent points to be reconciled. I wonder why this is. Part of the reason might be that the grad students view it as more intellectually challenging to take the synthesizing/reconciling approach. It's easier to poke holes in someone's argument and then waltz away; it's harder to figure out how to patch those holes. I think the grad students are also more appreciative of how hard it is to do philosophy, so they are more inclined to cut other philosophers some slack. And maybe what goes on as one matures in a discipline is development of its core virtues. I like to think that one of the core virtues of philosophy is generosity toward one's opponents, though some of my colleagues, I'm sure, would hoot with laughter at that claim. But how can any discipline be worth pursuing if its practitioners spend most of their time gleefully demonstrating how all their predecessors pursued work now seen to be worthless? In any case, I'm all for generosity, in this holiday season. Regarding seeming contradictions in a great thinker's work, I'm reminded of physicist Niels Bohr who wrote, "The opposite of a correct statement is a false statement. But the opposite of a profound truth may well be another profound truth." That is what today is going to be. I've planned it in advance to be that way. I'm telling this to the whole entire world (well, to the average of twenty people a day who read this blog) to try to ensure that it actually happens. Now, generally I'm opposed to heroic efforts, favoring instead the slow-but-steady approach. My literary hero is Anthony Trollope, who wrote a small, fixed quota of words every single morning and then went off to his full-time post as a high-ranking position in the British Post Office, rather than Balzac, who (I've heard) would lock himself into a room and not come out until he had finished an entire novel. Writing for me is a marathon, not a sprint. But once in a while, a sprint can be energizing, such as when one is simply so overwhelmed with the volume of work that one can hardly bear the thought of getting out of bed to face any of it, when even that one hour a day is too daunting. Time for a sprint! Time for an all-out, give-it-everything-you've-got-for-just-one-day-effort! So my plan today is to work for not one hour, but TWELVE, not from 5-6 a.m., but from 5 a.m. to 6 p.m. My goal is to finish today exhausted but relieved. My goal is to finish today with so much accomplished that I won't wake up in the middle of the night tonight itemizing in my head all the crushing tasks on my to-do list. My goal is to get so much done today that I can go back to my hour-a-day routine comfortably for the rest of December. Now, I also know that my most productive day ever is a TYPICAL day for many people, including many of my writer friends. But comparisons are odious, and these friends are not me. I'm an hour-a-day girl who is just about not only to double or quadruple her productivity, but to twelve-i-fy it. So: I have eight more minutes to finish this blog post, take one teensy peek at Facebook, and then begin. "Bite off more than you can chew"
Thanksgiving break is over. Oh, what goals I had for it! 4. read for an hour, either one of the books I was sent to review for the online book review service Children's Literature, or a book about ants, or Books 10-12 of Rousseau's Confessions for class. 5. have fun with my family and friends. I started out so well. I think I actually did all five of those things on Monday. But then as the week progressed, I couldn't sustain this pace, even though a four-hour-a-day work schedule seems hardly daunting given how many hours a day most people in the world engage in toil. I also found that on some days I'd be overzealous in one category - I'd grade ten papers instead of five - and then the next day I'd be unable to face doing anything in that category at all. Once Thanksgiving Day rolled in, fun with family and friends was about all I could boast - though what better boast than that? Now that the week is over, I give myself a mixed report card. 1. Nora ant farm book: I made steady progress, but much less than I had hoped. The best thing I accomplished here was emailing my editor to beg for an extension from my original December 15 deadline to a deadline of January 1. That thirty seconds of effort, which yielded a "Yes, of course" reply, rendered the impossible possible. 2. I graded all my 34 papers with lots of helpful comments on all of them, or at least I think they are helpful. They'd be more helpful if my handwriting were more readable. But still, I feel that each paper received a careful, thoughtful assessment. 3. I sent out reviewers' comments on all the easy chapters, the ones where I didn't need to do any thinking myself, but just had to cut and paste the comments from the two reviewers into the email. The ones where thinking was required remain to be done. I couldn't THINK this week on top of everything else! 4. I read all five books I was sent to review and wrote five pithy 250-word reviews on each one. I did some reading about ants, but that reading stressed me because I'm still so sad that all my ants in my ant farm died and uncertain about I'm going to address certain ant-shaped holes in my plot. I finished reading Rousseau's Confessions. 5. I served a lovely family brunch on Thanksgiving and a lovely traditional Thanksgiving dinner on the day after, to accommodate family logistics. I walked every day with my friend Rowan, her son Asher, and my son Gregory; the four of us have been walking together for years. I supervised the putting up of the Christmas tree at home and helped with the "hanging of the greens" at church. I went to a family reunion with a long-lost nephew and his extended family. I had tea with a friend. I ate a lot of pumpkin pie. So my verdict is: pretty good, all in all. And have fun chewing it. And do a fair amount of it. Or at least you're closer than you would have been otherwise. Not as snappy as the original, but a concise summation not only of my past week, but of my strategy for accomplishing whatever work I've ever accomplished in my long and happy life. All right, I'll say it: one of the reasons why I was so happy during my two years in Indiana was that I was living a thousand miles away from my family. I still came home to see them all the time, of course: fall break, Thanksgiving, Christmas, Gregory's recital, spring break, Mother's Day, the whole summer. When there were problems to be dealt with, I did my best to deal with them at a distance. But "at a distance" is so different from "all day, every day." In Indiana, I had no meowing cat begging for breakfast at 4 a.m. I had nobody asking, "What's for dinner?" I had nobody caring where I went or what I did. I went out every evening to talks, concerts, book group meetings, without a particle of guilt. I did whatever I wanted to do whenever I wanted to do it. I lived in a tiny rented house my first year, and a tiny rented room in a rented house my second year, both furnished with the belongings of other professors off on sabbatical. All I had brought with me from Colorado fit easily in my Chevy Aveo, and most of that was just books for work. I was so light and unencumbered. I was so free. Today, Thanksgiving morning, I'm also waking up in a small house (1500 square feet). But I'm not waking up alone. In this small house live me, Snickers-the-cat, my former/current husband, my older son and his wife, now pregnant with their baby due in March, and her little dog, Tank. My younger son is home from college for the break. So there are five humans, two other non-human animals, and the last two ants who are still alive in my ant farm. I've already been dragged out of bed to feed Snickers her breakfast. I have a fridge stuffed full of food to feed everyone else. We're having a Thanksgiving brunch today and the big feast tomorrow, as today Christopher and Ashley are going down to her uncle's mid-day for a huge family gathering. So I'm producing not one but two big holiday meals this year. I'm back to trying to make sure that other people are having fun. I'm back to trying to make sure that other people are happy. Right now I'm happy, too. Happy and grateful. I'm grateful that I had two whole years without my family. Now I'm grateful that I have my family back again. I'm grateful that it's good to be alone. I'm grateful that it's good to be in close connection with others. One of my favorite lines of poetry ever is from Ezra Pound: "Thank you, whatever comes." Aloneness or togetherness, freedom or commitment, peaceful quiet or joyous hustle-and-bustle, English muffin and jam for dinner all by myself in Indiana, or crowded table groaning under a Thanksgiving celebration here in Colorado. What Was the Last Time You Had a True Vacation? This weekend begins Thanksgiving break for me, and for many. Some friends from church are in Hawaii for the week, posting beautiful pictures on Facebook of themselves festooned with leis smiling in front of a backdrop of sea and sunset. My sister is just heading home from a week with her husband in Disney World, with photos of luscious breakfasts, lunches, and dinners displayed on Facebook as well. A colleague and his wife are off to Paris. Another friend is back from a trek to Thailand and Myanmar. Me? I'm staying right here. I'm trying to remember the last time I had a true vacation. What counts as a vacation can be disputed, of course, but I'm thinking of a trip, just for the sake of a trip, taken with friends or family, where the point of the whole thing is adventure, relaxation, or just plain fun. I think my last vacation, defined in that way, may have been a trip we took as a family to Vienna during Thanksgiving week of 2006; we had Thanksgiving dinner on a day outing to Bratislava, Slovakia. I also had a long weekend in New York City four years ago with Christopher and his then-girlfriend to celebrate his 21st birthday, as he decided he needed to have his first legal drink at the Waldorf Astoria sitting next to Cole Porter's piano, and so that's what we did. I've had tons of other trips, of course. I took Gregory and his then-girlfriend to California to look at colleges. I taught a children's literature course for a week in Taiwan in 2009. I attended a children's literature conference summer before last in China, with plenty of sightseeing included. I fly nearly once a month somewhere or other. This fall I did a school visit in Missouri and a whole week of school visits in Fairfax County, Virginia, where I also caught up with dear friends from my University of Maryland days. I have upcoming conference trips to Chicago and San Diego. I get around. But all my trips involve work as well as play. They are trips with a purpose, not trips just because. I'm trying to decide if this is bad or good. On the one hand, there is something to be said for turning off the work part of our selves once in a while; that's why God commands us to remember the Sabbath day and keep it holy. A true vacation turns off the work part of our selves for weeks at a time. But there's also something to be said for integrating work with the rest of our lives. A trip has an extra little fillip of excitement for me if I can also give a talk, or do some book research, or even just stop into a bookstore and see if they have my books. In the end, I think I prefer mixing work and play. This is good, as my upcoming retirement from my university position means that I'll have a lot less money for pure play. Work AND play will have to be the order of the day. Right this minute, I think that's okay. I'm writing this from my motel room in La Junta, Colorado, where I'm spending the day doing four assemblies for grades three through six at La Junta Intermediary School. When I eagerly accepted the invitation I didn't realize quite how far away La Junta is from Boulder: a three-and-a-half hour drive south and east across the plains. But the drive last night was lovely. I do adore seeing signs that warn drivers that there are no services at all for the next seventy-five miles! For all that I am such a gregarious extrovert, something in me comes alive when I drive through such open expanses of land. The school promised me a fixed sum of payment for honorarium and expenses, out of which I would make my own travel arrangements. So I had every incentive to economize on where I would say. I could have booked a room at the Hampton Inn outside of town. I stay often in Hampton Inns; their beds are divinely comfortable, and a hot breakfast is included in the price. But the price for a room at the Hampton Inn, even in La Junta, was $109 for the night, plus tax. So I booked instead at the Travel Inn, for $45 plus tax. The night before I left I began to feel a tad uneasy about my choice. While some reader reviews praised the friendly management, one of the reviews made an accusation of bed bugs! I do draw the line at bed bugs! But that customer seemed to have an axe to grind, angry that the management had taken him to task for rowdiness in his room that bothered other customers: I'm on the side of management there. So I decided to believe the management when they replied indignantly and emphatically to this online complaint: "No bug in hotel!" I arrived here last night a bit past six. The folks at the desk were every bit as friendly and welcoming as promised, eager to give me a dinner suggestion for a cheery Mexican restaurant a mile or so away. While all the pricier hotels are on a commercial strip just outside of town, mine is right downtown, directly across from the railroad station, around the corner from the main downtown street. The room has cinder block construction and unpretentious decor (well, no decor, really), but it is clean and comfortable, with nary a bed bug in sight. No breakfast was included, but that meant I could walk a block to the Copper Kitchen Cafe for hot chocolate with whipped cream, one egg over easy, and half an order of french toast with syrup. The glass-covered tablecloth on my table was patterned with teapots and curlicue handwriting reading "Cup of kindness." Including the cost of the breakfast, plus tip, I still came out fifty dollars ahead of staying in the Hampton Inn, plus had the fun of being right downtown, plus had that delicious french toast. Faith over fear! It works almost every time. Perhaps the single most fun thing I do at my job as a professor at the University of Colorado is to serve as a judge of the Graduate Teaching Excellence Award. Most of our graduate students have an opportunity to teach as they proceed toward earning their doctorates, first as TAs (Teaching Assistants) leading a discussion or lab session of a large lecture course taught by a professor, and then as GPTIs (Graduate Part-Time Instructors) teaching their own course on a par with the faculty. Each department is invited to nominate its top graduate student teachers (maximum of two each year) for a campus-wide teaching award. The judges, drawn from many different disciplines and departments, then drop in to observe the nominated classes in order to cast their vote for the winners. So as one of the judges I get the pleasure of sitting in on classes in all kinds of subjects taught by some of the best teachers anywhere. I always sign up for observation slots early, so I can get the classes that look most luscious. This fall I observed two classes from Theater and Dance, one from Political Science, one from Education, and one from Linguistics. My only regret is that there weren't any nominees this season from French, as I do adore brushing up on those tenses! I loved all five classes. In a class on the history of musical theater, I learned about the "concept musical," musicals such as Caberet, Chicago, and The Scottsboro Boys, which tie the musical numbers to the advancement of some underlying theme - e..g, in Chicago, cynical commentary on the American criminal justice system. In a class on dance narrative movies, I learned how to analyze film scenes in terms of composition, cinematography, film editing, and art direction: oh, how I wish I could write the assigned paper now - I am so ready! The political science class brought this pitiful non-consumer of news media up to speed on drone strikes in Pakistan and the civil war in Syria. The class on school and society showed me how a brilliant teacher can elicit remarkably candid sharing from diverse students about their own K-12 educational experiences. And in the linguistics class, I learned about the 841 languages (!) of Papua New Guinea, the most linguistically diverse country in the world. It was a joy to be a student again, scribbling notes. It was all I could do not to raise my hand to ask questions and give my own thoughts in response to provocative queries. I learned so much in the course of the five hours I spent doing these observations. And I even got paid for doing it. Now comes the un-fun part, of course: having to choose the winners. I so want everybody to win. But that won't happen until the spring, and we can give up to ten awards, and other judges will be weighing in, too, so I won't have to make this agonizing decision all alone. I'll miss judging this award more than any other single thing when I leave my CU job at the end of this academic year. But you know what? I seem to remember that another retired professor continued to serve on the committee for years after his date of official termination. And I can also be a senior auditor, taking advantage of the chance to sit in on fascinating classes like this not for just one hour, but for an entire semester. The single most delicious part of my job can still continue. Yesterday was a day I'd looked forward to for a long time: a whole day at home with nothing to do but write. I teach at the university MWF and try to keep Tuesday/Thursday free for writing, but it's hard enough to protect Tuesday/Thursday as days I don't trek into my office for talks or meetings, let alone days that don't fill up with LTs (Loathsome Tasks) that simply have to be done. But yesterday stretched ahead before me "like a land of dreams, so various, so beautiful, so new." And then I proceeded to waste most of it. Well, first I went for a walk with my friend Rowan, which is hardly a waste of time. Exercise and friendship are important, and exercise in conjunction with friendship is a delight. But afterward I faced just a few LTs, associated with my position as president of the scholarly Children's Literature Association. It was a thrill to be asked to preside for a year over such a wonderful organization, one I love so much, but once I said yes, that meant that my life could never again, for this year, be an entirely LT-free zone. A few LTs crossed off my list, I meant to settle down to write, but first I indulged my sudoku addiction for just a little while, to clear my palette. By now it was time for lunch. Then after lunch I did try to write and managed a couple of dreadful pages, but their dreadfulness got me discouraged. Checking my email every few minutes, I saw that I had gotten a couple of work-related messages that left me still more discouraged, so I did some more sudoku to cheer myself up. By five o'clock the flaming ruins of my wasted day were such a depressing sight that I could hardly force myself to get up off the couch to go finish up some leftover Halloween candy for dinner. All that was left to complete the "darkling plain" of my day that had "neither joy, nor love, nor light, nor certitude, nor peace, nor help for pain" was a few hours more of sudoku, and then it was time for bed. Oh, what a tragic waste of so many of life's precious hours! But this morning, guilt-stricken and determined to do better, I leaped from bed at 5:00, made myself my Swiss Miss hot chocolate, and turned to finishing chapter two of draft one of the Nora ant farm book. I read over what I had written yesterday. Those pages weren't so terrible, after all. I resumed my scribbling. More pages appeared, stronger, funnier than yesterday's pages. One wise friend likes to say that in order to get the clear water to flow from the tap, you have to release the brown water first. Today's water was clear, no tinge of brown at all. Now I'm on fire to write this thing. Now the magic is starting to happen. So maybe yesterday wasn't a totally worthless day. Maybe it was a necessary brown water day. A brown water day with about nine hours too much of sudoku in it. Lately some of my Facebook friends are posting cryptic numbers as their status update. 2578. 2319. Or: "2765 plus shiny stove." But, hey, 25,000 words is only HALF as much as my fellow writers are churning out for NaNoWriMo. So I'd be fine even if I started on November 15, right? But I'm not going to start on November 15. I'm going to start today, as soon as I click PUBLISH for this blog post. So if you're a Facebook friend of mine, and you see strange numbers appearing in my posts, now you'll know why. It will mean that I've written that many words today about a girl and her ant farm. I spent all day yesterday as one of six volunteer judges for the regional Ethical Bowl competition held at the University of Colorado, under the auspices of the CU philosophy department. Ethics Bowl, according to the website of its sponsor, the Association for Practical and Professional Ethics, is a program in which "teams argue and defend their moral assessment of some of the most troubling and complex ethical issues facing society today. Questions address a wide array of topics in business and professional ethics, in personal relationships, and in social and political affairs." The students receive the fifteen competition cases in advance and over a period of several weeks analyze them together. Some of the cases for yesterday's regional competition included: should it be a criminal offense not to disclose one's HIV-infection to a potential sexual partner? is it hypocritical for devoted pet owners to eat meat, thereby favoring one sentient species over another? is it permissible for a middle school to cancel its graduation over objections to prayer at the ceremony, rather than simply removing the prayer? is it morally justifiable to air advertisements stigmatizing childhood obesity with the intention of pressuring parents of obese children to seek treatment for them? The competition is not structured as a "for-or-against" situation, where one team defends a "yes" answer to each question while the other team defends a "no." Instead, both teams are judged on the depth, clarity, thoroughness, and insightfulness of their analysis of the ethical issues involved. So, because I think Ethics Bowl is a terrific program, and because I was so involved with it during my two years at DePauw (our DePauw team was the national champion last year, an amazing achievement for a small college competing against dozens and dozens of other schools of all sizes nationwide), I agreed to serve as a judge this time around. I also just want to be a nice person, and nice people help when they can, where they are needed. Then I found out that I'd have to be there at 8 in the morning on a Saturday and have to judge five rounds, ending at almost 6. There went half my weekend! I complained to one friend: "Isn't there any way to be a nice person without actually having to spend your precious time doing nice things?" I already knew the answer: no. So off I went bright and early yesterday morning. As soon as I arrived at the Ethics Bowl venue, it all came back to me, everything I love so much about Ethics Bowl. The students arrived, from University of Nebraska (two teams), Fort Lewis College, Colorado State, and our own team from CU. Two of the teams had driven seven hours to get there. The students had worked so hard to prepare their cases, on top of all their other coursework. They were all dressed up to show themselves at their best. They were ready to talk ethics! I loved every minute of hearing their thoughts on each case. I loved formulating my questions to ask them in response (one role for the judges). The lunch, a Mexican make-your-own-burrito buffet, was delicious. I was dismissed early, as fewer judges were needed for the final round, and the University of Colorado team was one of the finalists, so it would have been inappropriate (unethical?) for me to judge my own school, if this could be avoided. I came home sooner than I had expected, exhilarated, more in love with Ethics Bowl than ever. So it turns out that the reward for being a nice person, at least some of the time, just is that you get to do the nice thing itself. And isn't that nice? Here is a very crooked photo of my very new ant farm. Why, you may ask, have I acquired an ant farm? And why do so many of the ants in it look dead? Last May I went to NYC to visit my sister, Cheryl, and her bookseller husband, Carey, and to go with them to the book-lovers extravaganza that is Book Expo America, held at the Javits Convention Center on the West Side of Manhattan. I figured that while I was there I should try to meet up with my agent and editors, so I set up a breakfast with Nancy Hinkel of Knopf/Random House, a lunch with Margaret Ferguson of FSG, and a chat with my agent Stephen Fraser, where we spent most of our time talking about George MacDonald's Victorian children's novel At the Back of the North Wind, the topic of the master's thesis he wrote for his graduate program in children's literature at Simmons College some years ago (I love having an agent who adores Victorian children's literature as much as I do). At my breakfast with Nancy Hinkel, we tossed about possible ideas for my next book for Random House, and she said that she'd be interested in seeing what I could do with my character Nora, who appears in my three Mason Dixon books. In contrast to ever-pessimistic Mason and ever-optimistic Brody, Nora is the calm, clear-eyed, serious, sensible scientist who is always thinking of new experiments to do with her ant farm. "I could use a book about a girl with an ant farm," Nancy told me. That was all I needed to hear. I worked up a proposal for a three-book series, The Nora Notebooks. 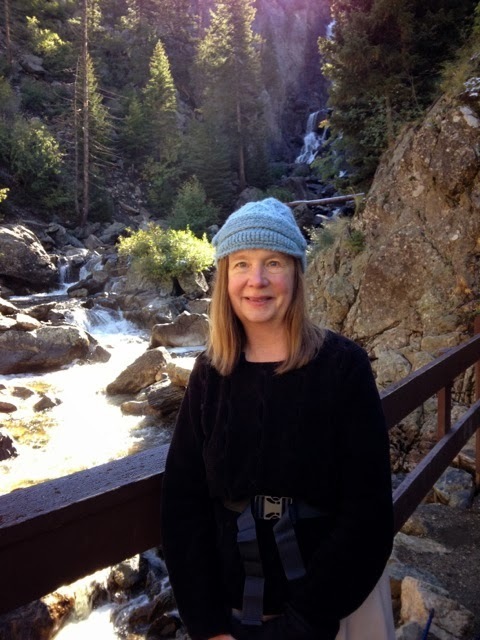 I wrote the sample chapter for the first book, The Trouble with Ants, while I was up in Silverthorne last August on retreat with my writing group. During our flood of the century here in Boulder last September, I got word that Nancy loved the proposal. While I was away doing a week of school visits in October, I got word that the formal offer for the series had come through, with very tight deadlines: all three 25,000 word books to be done by this coming June, the first due December 15. It was time to get serious about writing. Step one was to get serious about setting myself up as an ant farmer. I ordered Uncle Milton's ant farm online, and it arrived on Thursday, a worrisome day, as it was quite cold, and live arrival of the ants was not guaranteed in temperatures below 40 degrees. But I saw them scurrying around quite lively in their little tube. With the help of my son Christopher and my daughter-in-law, Ashley, the ant farm was set up. Sand was poured in and moistened with water. The instructions called for a quarter cup of water, which seemed like an awful lot, so I put in less; in retrospect that was a mistake. The ants - the brochure that came with them warned that they are stinging ants - were transferred with great fear and trembling into their abode to get to work doing fascinating ant activities. Yesterday morning they were alive. But yesterday afternoon, their first try at a tunnel collapsed. Was the sand too dry? I added more water, hoping I wouldn't drown them. My husband reassured me that in nature, after all, ants do experience sudden downpours. This morning, however, I have to report that most of them appear to be non-living. I can order replacement ants. But it's definitely a disheartening beginning. Of course, a true scientist like Nora wouldn't be daunted at all. She'd be eager to order more ants, alter the variables, test for the most favorable conditions, graph the number of living and dead ants under each configuration. I need to channel Nora! But first I may need to have an ant funeral. 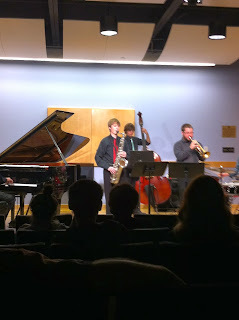 On this past Sunday afternoon my younger son, Gregory, had his senior recital as a saxophone performance major at CU. He's closing in on a double degree: a bachelor of science degree in computer science in the College of Engineering and a bachelor of music degree in jazz studies in the College of Music. Sunday was the culminating event of his undergraduate years as music student. He played three of his own original compositions - "Light the Way," "Morning Dew," and "Valencia" - as well as "If I Should Lose You" by Ralph Rainger, "26-2" by John Coltrane, "Very Early" by Bill Evans, and "Dat Dere," by Bobby Timmons, accompanied by a wonderfully talented band of fellow students on piano, bass, drums, and trumpet. The small chamber music hall at the Imig Music Building was filled with our family, his classmates, his first piano teacher (who has forgiven him for falling in love with saxophone instead), and friends of mine from my writing group, the philosophy department, and our church. A reception followed where I provided a spread of fancy cheeses and crackers, a beautiful veggie tray, and my signature ginger snap cookies and cream cheese brownies, as requested by the star of the program. As a parent it's impossible not to remember those crucial life-shaping moments where it all began. Gregory's father took both boys to the end-of-year jazz band concert at Fairview High School when Gregory was in third grade and Christopher was in sixth grade. As soon as Fairview's stellar top jazz band, Jazz I, took the stage, and Gregory heard that first saxophone solo, that was it for him. I rented him a saxophone, found him a teacher, and took him to his first lesson. There I watched him learn how to assemble his instrument and play his first notes. I asked his teacher, Dave Camp, how much he wanted Gregory to practice. Dave shrugged. "As much as he wants." Then he told Gregory, "But the one who practices the most wins." So much practicing. So much time in the car driving to lessons up in Lafayette (where I would sit at my favorite coffee shop writing lists of my goals and dreams in my special little notebook while I waited for the lesson to finish). So much time in the car driving down to practices and performances for the Colorado Conservatory for the Jazz Arts at the Lamont School of Music at the University of Denver and at the jazz club Dazzle. So many middle school and high school jazz band concerts. Hearing Gregory play his own saxophone solos once he joined Fairview's Jazz I as a sophomore. Then jazz combo and jazz ensemble concerts at CU. And then, watching him come out on stage Sunday afternoon, still looking to me hardly different from the little boy he was at that first lesson, but now so poised, so professional, so accomplished in doing what he loves. It's the midpoint of the semester now, or slightly past. I'm having a happy time in both of my courses, and I hope my students are, too. I know my first goal as a professor should be that my students learn as much as possible, and I do care about that, I really do. But even more, I confess, I hope that I can create an enchanted world for them to inhabit three times a week. I want the three hours a week they spend with me to be little shimmering islands of joy. Here's the joy on offer this week. My 11:00 class is Children's Literature, taught as a "topics course" in "genre studies" in the English department. The chair of the department told me that I could include a creative component in the course as well as the usual literary analysis, so right now we're in the middle of a creative unit on picture books. We first read a selection of picture book texts from The 20th Century Children's Book Treasury, analyzing how the pictures and text work together to create a satisfying whole and examining how various stories construct the idea of "family" for young readers, as well as convey intended or unintended social/political commentary. Then I spent two classes talking about picture book structure, using some of my own picture books, in "before" and "after" versions, as examples of the way that structure can be imposed on a story through judicious revision and editing. Now the students are working on their own picture book manuscripts. Our class yesterday was a dummy-making workshop. I came to class prepared with a 32-page blank dummy for each student, as well as assorted pairs of scissors, rolls of tape, and colored pencils and markers. The students then set to work cutting up their manuscripts into little bits of text to tape onto the pages, so they could see if they had enough material to fill an entire book, with appropriate pacing and exciting page turns. I loved hearing their questions as I wandered around the room to help as they were busily cutting, pasting, and coloring. "I just realized that my story has a problem. The problem is that it doesn't have a problem!" "Do we really need to fill up the whole book? I just have enough for eight pages!" Some students stared down in dismay at the one huge long paragraph they had written, realizing that it now needed to be cut up into many many little paragraphs, a visceral way of realizing exactly how picture books are paced and presented. My 1:00 class is my signature class on the philosopher Jean-Jacques Rousseau (we all just call him Jean-Jacques). We're almost through his massive novel, Julie: or The New Heloise, the now-forgotten (except by Rousseau scholars) tome that was once the best-selling novel of the 18th century. One graduate student confessed to tearing up as he read Wednesday's huge chunk of text, in which Julie's passionate lover, St. Preux, sees Julie for the first time as a married woman, now wed to the cold-but-magnanimous Wolmar, surrounded by the children of this new union. Rousseau's overwrought prose conveys not only the doomed-but-redeemed love of Julie and St. Preux, but his vision of an idyllic political community working together in blissful unity. (Rousseau disliked harmony in music; he wanted only melodies sung in unison.) Coming up on Friday: the famous scene of the grape harvest at Clarens. I have built my entire writing career, with my 50th book (Annika Riz, Math Whiz) due out this coming spring, on one principle, and one principle only: that if you write for just an hour a day, writing one pitiful, pathetic, puny page during that hour, you can complete an enormous amount of pages by the end of a year: 365, to be precise, 366 during leap year. Each day's accomplishment seems so tiny, but the cumulative total is so large. I have been cheered by the thought that the great Victorian novelist Anthony Trollope followed a similar method, writing for a fixed time period each morning before heading off to his full-time job as a high-ranking official for the British Post Office. Trollope wrote in his wonderful autobiography, "Nothing surely is so potent as a law that may not be disobeyed. It has the force of the water drop that hollows the stone. A small daily task, if it be really daily, will beat the labours of a spasmodic Hercules." But here's the problem. Lately I've been disobeying my own law. It's so easy, when I look at the clock by my bed that reads 5:00 a.m., to say, oh, why not sleep just a little bit longer? And then it's so easy, when I finally wake up, to check email and see what witty things friends have posted on Facebook. And then it does feel extremely urgent to turn to the many, many tasks awaiting me from my job, for unlike Mr. Trollope, professors take their work home with them, and some Loathsome Task is always hanging over my head. Wouldn't it feel so good to be able to cross off from my ever-lengthening to-do list those graduate student recommendation letters I need to write? Or the manuscript review I promised a journal? Or those books reviews for Children's Literature? Or to make a dent in that pile of student papers? So I do a couple of those things, and it does feel good, it really does, but at the end of the day, I haven't done my hour, and I haven't written my page. I now have a real and looming deadline for my writing. I was lucky enough to get a three-book contract from Knopf/Random House for a companion series to my Mason Dixon series, this time starring Mason's friend Nora, a serious, scientific girl who devotes herself to advancing the frontiers of science by doing experiments on her ant farm. Each book is to be 25,000 words, or about 125 pages. The first is due December 15; all three are to be completed by June of next year. Now this is doable. It's not easy, but it's doable. After all, friends who participate in National Novel Writing Month every November commit to writing a full 50,000 words during those thirty days, double the length of each of my Nora books in a single month, and many of them meet this goal. If they can, I can. But I can do it only if I give an hour to my writing every single day. Every SINGLE day. And that means, yes, that means today. TODAY!!! Grading can wait. Class prep can wait. Revisions on a philosophy paper can wait. I've been doing a lot of author visits to various elementary schools lately. Last week I was at Eugene Field Elementary School in Maryville, Missouri; this week I'm off to Fairfax County, Virginia, to speak at several schools there; next month I have a gig in La Junta, Colorado, on the eastern plains. School visits are an extremely wonderful opportunity for authors in just about every way. 1. We make money. Many children's book authors earn more in a year from speaking at schools than we do from our writing. 2. We sell books. Schools typically give students a chance to buy our books and have us sign them, so we increase our sales in addition to broadening our fan base for future releases. 3. We get material for future books. Now that I no longer have school-aged children living in my house bringing home delicious stories daily, it's crucial that I spend time in actual schools with actual kids, wandering the halls to see what kinds of assignments they're working on, spotting possible future characters in my audience. My favorite moment: when the kids are coming in to the library for one of my assemblies, and the teacher monitors where they sit: "No. You two are NOT sitting together." There's a story there, for sure! 4. Finally, we have fun. We get to be a celebrity for a day, with kids pointing at us as we walk into the office: "Is that her? Is that Claudia Mills?" We make new friends of teachers and librarians, sometimes friendships that endure for life. The only negative about school visits is that it can become wearisome to spend all day talking about the same subject over and over and over again: me, me, me, ME! How I came to be an author, how I write my books, my writing process. Like many authors, I have a standard author speech and give it, word for word the same, four times in a day, knowing exactly where the students will laugh, or gasp, or groan. Sometimes I've considered changing things up a bit, but I have to say that when I go to hear an author talk, I do want to hear the author talk about herself. I've heard authors who are trying to be less egotistical and more generous to their fellow authors, and so they read aloud from other people's books and talk about other people's stories. I come away disappointed: "But I came to hear YOU. What about YOU?" And if I vary my talk just to keep myself from being bored, that means that some group gets my second- or third-tier stories instead of the ones I know from past experience that kids love best. That doesn't seem fair. So tomorrow, in Virginia, I'll tell the kids about the autobiographical book I wrote in eighth grade, T Is for Tarzan (my nickname that year was Tarzan). I'll tell them that if they remember they can ask me at the very end of the presentation why my nickname was Tarzan, and I'll tell them, but that I hope they forget, because it's embarrassing. (They never forget, ever.). I'll tell them my first attempt at a published book, a picture book called Campbell the Tomato, and how I submitted it to the publishing house where I was working at the time, Scholastic in NYC, and had to type my own rejection letter. I'll vary things a tiny bit by talking about how I got the ideas for my most recent books: that is the one part of my speech that does change from year to year. I'll show them my favorite pen: a Pilot Razor Point fine-tipped black marker pen. I'll tell them how I love to drink Swiss Miss hot chocolate while I write. I'll say these things four times in a row on Tuesday, and then again on Wednesday, Thursday, and Friday. And the kids will come up to me afterward to give me hugs, and ask me to autograph their hands or foreheads (I refuse, invoking my standing policy against signing any body parts); later they'll write me letters saying how much they loved Campbull the Tomatoe. "I'd rather leave while I'm in love"
I just taught the first class of my first course of my last year of teaching at the University of Colorado. I'm teaching my two most beloved courses this semester: children's literature (in the English department) and Jean-Jacques Rousseau (in the Philosophy department). I had to pull a lot of strings and call in a lot of favors to be allowed to teach the children's lit class, as I'm a tenured member of Philosophy, not English, and my Ph.D. is in Philosophy, not English. The first day of the course was as delightful as I hoped it would be. All I really did was call the roll and ask each student to tell me the name of his or her favorite children's book, but as each one gave the answer (Harry Potter book seven, Anne of Green Gables, Amelia Bedelia, The Phantom Tollbooth, Junie B. Jones), the other students gave their sighs of shared appreciation and started to offer their own insights into why they had loved these books so much. Hooray! In less than an hour I'll be launching the Rousseau course, reading the fabulous opening pages of Rousseau's groundbreaking Confessions, the first modern autobiography. Have I made a mistake in accepting an early retirement offer to focus on my career as a children's book writer? No. If I continued to teach, I might teach children's literature or Rousseau every other year, but that would leave me plenty of other courses to teach that I love less passionately, and also where I've kept up less assiduously with current scholarship, so that I feel vaguely ashamed of myself as I drag out my old lecture notes from fifteen years ago. And I don't love grading - no professor does. And I don't love academic politics (even though it generates some amazing stories - fodder for a future academic novel some day?). Most of all, as the Carole Bayer Sager song lyric goes, "I'd rather leave while I'm in love." It's not a bad sign that I'm loving this first day of the semester so much. Better to leave while I can still walk out of class aglow with the connection I think I've made with students. If I miss teaching too much, I can get visiting gigs lots of places. There is no shortage of opportunities once I'm no longer tied down to a full-time job with its heavy commitments of teaching, research, and service. Undeterred by this morning's joy, I'm going to go ahead and sign those bridge-burning retirement papers. Even this morning, I had the great fun of tossing into the recycling bin some of those faded course notes from a decade and a half ago. But between now and the middle of next May I'm going to love every Monday, Wednesday, and Friday of teaching with all my heart. Just as I'm loving this next-to-last first day. Ever since I made the decision to try to leave my position at the University of Colorado at the end of the coming academic year, in order to concentrate full time on my writing career, all the signs and portents sent to me by the universe have been extremely discouraging. 1. My spring royalty check (authors are paid royalties on their book sales twice a year, spring and fall) was the smallest I've received in over a decade: only 20 percent (!!!!) of what I'm used to receiving. 2. Reviews of my two June releases, , Kelsey Green, Reading Queen and Zero Tolerance, have been uniformly positive, but I haven't received a starred review on either title, so there is no reason to think that either one will be a breakout book that will launch me into the next level of greatness and glory. 3. I'm at my writing group retreat up in mountains right now, and I found out yesterday that one of my fellow authors, whom I respect enormously, strongly dislikes my cookie jar book. Of course, others in the group had much more appreciative responses, but I can hardly discount such a negative reaction from a brilliant critic to the book on which I've spent the past six months of my writing life. 4. Over the course of the past year I had to spend $22,000 on HOA-mandated repairs on my already well-maintained and attractive townhouse, so I now have $22,000 less to spend toward paying off my mortgage, a cornerstone of my retirement strategy - and all I ended up with for that $22,00 was a house that looked exactly like it did before. 5. I am going to have some new financial obligations coming from my family situation that will further compromise my ability to live off my writing income when I no longer have my teaching income from CU. Positive signs and portents? None, so far. None at all. But do you know what? I still have my heart set on doing this. And maybe in the end, that's the best sign and portent of all: to be willing to forge ahead despite all warnings. I've realized that I'd rather fail doing what I love than succeed at being someone I'm not. I'd rather lead an authentic life, even with financial limitations and lukewarm professional rewards, than live an inauthentic life with greater security and recognition. And what's the worst-case scenario if I fail as a full-time writer? I sell my expensive house in Boulder, buy a lovely, comfortably run-down house in Indiana for a fraction of the price (and with no overbearing HOA), and move back to my beloved Greencastle, where I spent the two happiest years of my life. How bad is that? In the end, what do signs and portents matter, when I can follow the compass of my heart? Today is my birthday, the beginning of the final year of a decade that will culminate in my 60th birthday a year from today. So this morning I took stock of the occasion in my special little notebook. My fifties have definitely been my hardest decade, but they've also been my happiest. The main reason that these years have been so happy, despite or more likely because of the various hardships they've contained, is because I like myself better now than I did ten years ago. I'm wiser, calmer, kinder - I think my family members would agree. I've finally internalized, well, mostly internalized, the Stoic wisdom that there are things that are up to us and thing that are not, and we need to focus our energies on the former, not the latter. And there is so little that is up to us! Really, all we find on that very short list are our own actions, choices, and attitude. Period. All the rest - the weather, the state of the economy, fame and fortune, and other people's actions - are simply not within our power to change very much, one way or another. 1. I will be a grandmother! Christopher and his new wife, Ashley, are expecting a baby in March. 2. I will have published my 50th children's book: Annika Riz, Math Whiz. 3. I will have retired from my job as a professor of philosophy at the University of Colorado, accepting an early retirement package at the end of the 2013-14 academic year so that I can focus my professional energies on writing and focus my personal energies on welcoming this new grandchild into my life. So my plan for the coming year is just to love this last year of my fifties as much as I can. In particular, I'm planning on loving my job at CU as fully and deeply as I can, now that I know it will end after I teach these four last courses, two in the fall and two in the spring. I'm going to immerse myself in all that is wonderful about the university, foster close relationships with students, gobble up as much intellectual stimulation as possible. And then, a year from now, check in with me to hear about the big changes that are going to lead me into the new decade of adventure. I just spent the world's happiest week doing revisions on my cookie jar book - the time travel book where the kids travel back to various exciting moments of Indiana history via the mechanism of an enchanted cookie jar. Earlier in the summer I revised it as best I could myself, printed out six copies to distribute to the six other members of my writing group, and awaited their comments. I heard back from four of them; I'm still waiting on the other two. I went ahead and launched into the next round of revisions on the strength of the suggestions from the first four critics, knowing that there will be plenty of time for MANY more rounds of revisions as more comments come in. It's hard to know which is more satisfying: the initial writing or the revising. I do adore that initial hour-a-day, page-a-day writing of the book from scratch, where I'm the one who actually brings the world of this book into being with my daily toil. I'm the one who makes these characters breathe, talk, quarrel, cry, act. I write not knowing fully what is going to happen. I write in the hopes of finding out. I write with the same joyful anticipation of a reader, to find out what happens next. But initial creation is also scary. There is always the fear - ALWAYS - that I'll sit down to write and the magic won't happen (even though if you sit down faithfully to write, day after day, the magic is absolutely GUARANTEED). With revision I have the satisfaction of seeing the already written book get so much better, sentence by sentence, page by page, chapter by chapter. The buried potential of the book is brought to the surface. Crucial themes area more fully developed. The characters can be made now to act more fully in character. The beginning of the story can be reshaped to anticipate what comes later (now that I know what comes later). Vivid detail can be added. It's lovely to see improvement, improvement, improvement, every step of the way. Not that revision isn't daunting, too. Here the fear is that I'll know what I NEED to do, but not be able to do it, not be a good enough writer to make it work. What I do to help myself out here is perhaps backwards. I do all the easy things first. A lot of writers take the opposite approach and do the hard things first. But I like to start with low-hanging fruit to build self-confidence. So first I correct all the typos - how I love doing that! Then I work on awkward sentences flagged by my writing group. And then, and only then, do I work on larger issues of plot logistics, character motivation, adding and subtracting various scenes. Well, now this round of revisions is done, and I sent the manuscript off yesterday - ta-dah! - to my agent to see what he thinks. This book is a departure for me - not realistic contemporary fiction, not a school story, not a single school scene anywhere in the entire 240 pages. Instead the children foil a robbery by John Dillinger's gang, help a slave escape on the Underground Railroad, get their portrait painted by Hooiser impressionist T. C. Steele, and take refuge during a tornado. I loved writing every single word of it. I loved revising every single word of it. Now all I can do is hope that some editor somewhere loves reading the words I so loved writing. And start dreaming up what book to write next. Over the past few weeks my variation on the classic child's bedtime prayer has been, not "If I should die before I wake, I pray the Lord my soul to take," but "If I should die before I wake, I pray the Lord that someone will know that my edited collection on children's literature is SO CLOSE to being ready to send to the publisher and so I pray the Lord that someone will do the necessary tiny final tweaking and assembling to submit it so that those other fourteen authors who have their work in the volume will not have toiled in vain. Amen." And then I took my tumble and lost a full week of work, and of course I found out that the tiny final tweaking was not as tiny as I had hoped it would be. It might be easy for some of YOU to put fifteen chapters, plus an introduction, into one single file in Microsoft Word without losing the sequencing of the end notes for each chapter, but it wasn't easy for me. All of the endnotes bunched up together in one huge batch, and inexplicably they became renumbered in roman numerals rather than regular normal people numbers, so I was looking at notes with numbers like cxxxvliii. Or something equally terrible! Still achy from my fall, I put my laptop in my backpack and trundled off to the university, where Karen, our tech support wizard. sat patiently by my side as I tried to sort it all out. I learned how to create a section break firewall between each chapter; I fixed the endnotes (mostly); I obliterated the hated roman numerals; I finished writing the introduction for the whole book (a vastly easier task than sorting out the endnotes); and yesterday I SENT IT OFF TO THE PUBLISHER. Hooray! The book has been a labor of many months, beginning with the conference I hosted on ethics and children's literature at DePauw University last September. Since then, essays presented at the conference were selected for inclusion, revised and expanded by their authors, edited by me, revised again; I wrote a chapter of my own, arranged the essays in an order that made sense to me, and wrote an introduction to make visible that sensible structure for the collection. And I fixed the endnotes! So now my prayer can be just one of gratitude: "If I should die before I wake, thank you, Lord, that the edited collection is safe." Which is even mildly snappy, as prayers go. Next up: peer review, and reviewers' comments that will need to be communicated to chapter authors, and editing, and copy-editing. But all that won't arrive back on my desk for many months. So between now and then, I can rest on my laurels and have less anxious bedtime petitions to the Deity. In fact, "Thank you, thank you, thank you" might suffice. As readers of this blog know, I pride myself on never getting sick. I crow about it, ostentatiously taking a seat next to whoever is coughing and sniffling loudest in a room, because I'm immune to all germs and I never get sick. And if I should get a TEENSY bit sick, I get well instantly, after one good night of sleep. I haven't missed a class for sickness in years. I marvel at how inconvenient it must be to be someone who gets sick: how can you make any plans? how can you schedule your days with the specter of sickness constantly lurking? Alas, I didn't bargain for injuries from a fall. I took a terrible tumble Sunday night as I walked merrily home from a Colorado Music Festival concert at Chautauqua, the final concert of the six I was attending with my friend Diane, a glorious evening of Brandenburg concertos. A block from Diane's house, I stumbled on some invisible obstacle and down I went, flat onto my face. I broke my glasses and lost a lens. My nose bled all over my clothes. My ribs and chest were badly battered and bruised (though the next day's x-rays showed nothing broken). And oh, my face! Four full days later, my face looks ghastly: puffy, swollen beyond recognition, with a boxer's black eye, or rather crimson-and-purple eye. I've done nothing this week but hobble from bed to couch and back to bed again. All my grand plans have been abandoned. It's the first day of a new month, and instead of beginning a new life, I finally scrambled an egg and loaded the dishwasher and checked my email. Period. Oh, how the mighty have fallen - literally! And it's hard not to see dreadful inklings of a distant future where falls like this will mean broken hips, and walkers, and care homes, and bed sores, and death! But perhaps these thoughts are a tiny bit premature? I probably still have twenty more good years before I have to face those darker possibilities. But I don't feel as carefree as I did a week ago, nor as glib and superior. Instead, I feel that I'm going to thank God on my knees for every day I can walk without pain and look in the mirror without wincing with horror at the sight. And now I'm off to put a package of frozen peas against my throbbing eye and cheeks. And count my blessings one more time that this, too will pass. In early July I buckled down to preliminary revisions on my cookie jar book (my time-travel book set in Indiana, where the kids travel to the past via placing cookies baked from historic recipes into an enchanted cookie jar). Then I printed out six copies of the 240-page manuscript (oh, the cost of printer cartridges these days!) to distribute to the six other members of my critique group for their comments. After that: nervous waiting for the very first reactions from any readers on the planet - and not just ANY readers, but the highly discerning readers of my writing group. One evening last week I was at the Colorado Music Festival up at Chautauqua, where I bumped into my writing group friend Mary, who told me that she had started reading the manuscript and was loving it so far. Yes! Then I saw her again during intermission at a concert later in the week, and we chatted about the book some more. I told her my chief worry about the story: that Maisie, my viewpoint character, doesn't really grow and change through the course of the book, that although Cole gets to keep his beloved dog, Oopsie, and Maisie's feuding great-grandmother and great-great aunt reconcile at last, nothing really changes for MAISIE. Mary and I started brainstorming solutions to this problem, right there during intermission, and then I was so distracted thinking about them during the second half of the concert that I hardly listened to brilliant Olga Kern playing Rachmaninoff piano concerto #4. What could Maisie want that she ends up getting? What could change for Maisie? The next day, Mary emailed me a detailed memo about the book, with some further thoughts: what if what Maisie wants just is to heal the quarrel between her elderly relatives? This change would just involve rewriting the opening of the book so that now we see Maisie herself being actively distressed about the current situation and longing for it to change. This could work! My writing group friend Leslie read the manuscript next, and we set up a breakfast date at the historic dining hall at Chautauqua to talk about the book. Her chief critical comment was that the final time travel sequence needed considerably more development to bring out the scary suspense of the tornado; right now it was clear that I was rushing through these crucial scenes to get to the end of the book as quickly as possible. I told Leslie Mary's proposed solution to my Maisie worries, as Leslie's omelet arrived, an omelet that featured "heirloom" tomatoes. That was all the cue Leslie needed.What if Maisie, already established as an only child with no extended family, is yearning for an "heirloom" family? - a traditional large family of aunts, uncles, grandparents, great-great-aunts. THAT could be what she wants and then finally gets, once the feud is resolved. YES! So now I'll establish Maisie's yearning for a large "heirloom" family at the beginning of the book and amp up the tornado scenes at the end of the book. Hooray! Of course, I still await comments from Elizabeth, Annie, Marie, and Phyllis, and who knows what they will suggest. All I know is that whatever they suggest, it will make the book better. And maybe I can think about their suggestions while listening to Rachmaninoff or eating an omelet on a beautiful verandah with a view of the Flatirons. . . .
One of my Boulder summer pleasures is to subscribe to the Colorado Music Festival held in the historic barn-like concert hall up at Chautauqua, at the base of the Flatirons. My friend Diane and I get tickets for six or seven concerts, usually heavily concentrated on the offerings from the festival's mini festival-within-a-festival. In recent years the mini-festival has included performances of all of Beethoven's nine symphonies, the world's great piano concertos, the world's great violin concertos, and the work of Brahms; this year the focus in on the music of Russia, culminating in performances tonight and Sunday night of four Rachmaninoff piano concertos by dazzling virtuoso Olga Kern, a favorite of my family. Last night Diane and I had tickets to the concert with Prokofiev's "Peter and the Wolf" in the first half and Tchaikovsky's lush Symphony Number 6 (Pathetique) in the second half. But in the late afternoon Diane called me to tell me she was sick. I tried to find a replacement date for the evening to no avail. So I headed off alone, feeling a bit bereft, forlorn, and alone in the universe. But as I got off the free Hop bus up to Chautauqua and made my way to the ticket kiosk to see if I could give away my extra ticket for the evening, who should I see but a fellow writer, Mary, from my writing group, with her husband, Wally, there to buy their tickets for the festival. Hooray! I gave them my pair, and they bought a singleton for me. Mary had brought an extremely delicious picnic with her, which they shared with me during intermission, including lovely Rainier cherries and chocolate chunk cookies. And she reported to me that she's halfway through reading my cookie jar book manuscript, which I handed out to the group last week, and so far she loves it! So the lonely evening of a Claudia-all-by-herself-in-the-universe turned out to be an evening of fellowship with another writer friend and her husband, with a picnic included. That's the way it always happens, or almost always happens. At least that's the way it happened last night.